Air Transat Flight 157 from Brussels was scheduled to arrive in Montreal at 3:15 p.m. ET Monday, but was diverted to Ottawa after circling east of Montreal due to thunderstorms. It then sat on the tarmac for six hours and passengers weren't allowed to get off. Laura Mah, who was on board, spoke to CBC News as they waited. "The plane actually lost power and went zero AC [air conditioning], and then now we've got the doors open and one kid is puking, and people are just losing their minds," she said. Hundreds of passengers weren't given much information about what was going on, Mah said. They were told that the plane needed to be refuelled, and then they were told the fuel truck had run out of fuel. One of the passengers eventually called 911, Mah said. Paramedics arrived and the Ottawa International Airport Authority handed out water to the stranded, hot passengers. "I'm super pissed," Mah said. "I'm just really hot, I'm sweating, and I haven't eaten. … I'm hungry and they only rationed the food to give little snacks to kids, which is good. Luckily, they started bringing in bottles of water from the outside, like 45 minutes ago, but no food. I'm starving." Twitter user Brice de Schietere posted several videos showing the darkened plane when it lost power, as well as flight crew giving intercom updates. The flight finally left Ottawa at about 11 p.m. ET and landed in Montreal at about 11:30 ET, eight hours and 15 minutes behind schedule. In total, Mah, de Schiettere and the other passengers had been sitting on the plane for about 15 hours. Another Air Transat flight, No. 507, from Rome to Montreal, was also diverted to Ottawa due to the weather. It was scheduled to land in Montreal at 4:50 p.m. ET, but landed in Ottawa at about 6 p.m. ET after nine hours and 45 minutes of flying time. The plane then sat on the tarmac for four hours. It took off just after 10 p.m. ET and landed in Montreal at 10:30 p.m. ET, five hours and 20 minutes late. Gatineau, Que., resident Josée Binet described the situation as untenable, telling Radio-Canada she called 911 around 9:30 p.m. ET to ask for help. By the time they arrived in Montreal, Binet and the other passengers had been sitting on the plane for about 15 hours. Ottawa International Airport Authority spokesperson Krista Kealey said about 20 flights had to be diverted to Ottawa on Monday due to severe weather, with the first landing at about 4 p.m. ET. The last of the diverted flights took off at 11 p.m. ET, she said. The flight from Brussels was delayed for that many hours for several reasons, Kealey said. Emergency crews had to deal with "several medical calls," the Canada Border Services Agency needed to approve the opening of the cargo hold to check on a pet, the plane had "mechanical issues," and it needed to be refueled. "However, that decision was not taken by the airline, and ultimately it is the airline that is responsible for making those decisions about whether a flight disembarks — and, in the case of an international flight, processes through Canada customs — or whether it sits and waits it out in the hopes that it can get to its final destination." In an emailed statement written in French, Air Transat said the unusual amount of traffic at the Ottawa airport meant that airport staff weren't able to provide bridges or stairways to allow passengers to disembark. The delays were mainly caused by the congestion at the airport and having to refuel, the airline said. The plane that landed from Brussels lost power because it ran out of fuel, and the resulting lack of air conditioning caused the plane to heat up, the airline added. "We are sincerely sorry for the inconvenience that this situation, which was beyond our control, may have caused our passengers," the statement said. In a statement issued late Tuesday afternoon, the airport authority disputed Air Transat's claims that no stairs were available. "We had a gate available and air stairs ready in the event that the airline decided to deplane," the statement said. The airport authority also said its staff was prepared to bring supplies beyond just bottled water to the stranded passengers, but never received clearance from the airline. "We keep a supply of water, food, diapers and other personal hygiene necessities to support passenger needs in irregular operation scenarios, and were prepared to deploy these supplies," the authority said. "Although our staff tried several times to contact the aircrew through the handlers to provide further assistance, the aircrew was non-communicative and did not take us up on our offers to assist further." 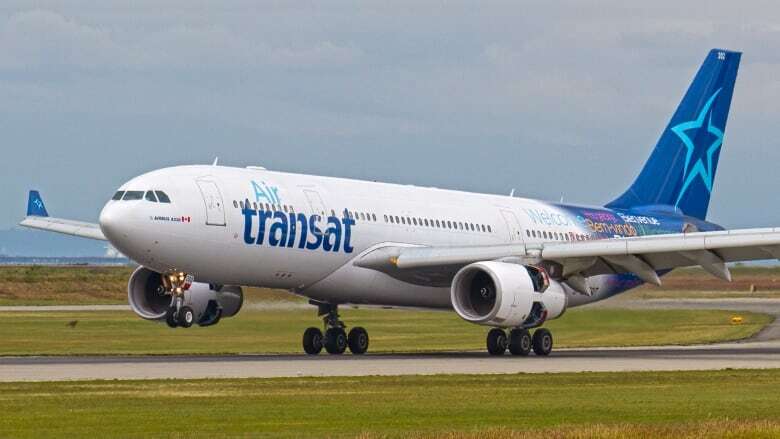 The airport authority also said its personnel urged the Air Transat flight crew to open the airplane's doors so fresh air could circulate, and offered to provide fans so that passengers could stay cool. "Providing the best possible customer experience is a priority for the Ottawa International Airport Authority," the statement said. "We are disappointed that Air Transat has not been forthcoming, transparent or accountable with information concerning their diverted flights."